Description: Very rare and very much sought after by collectors. 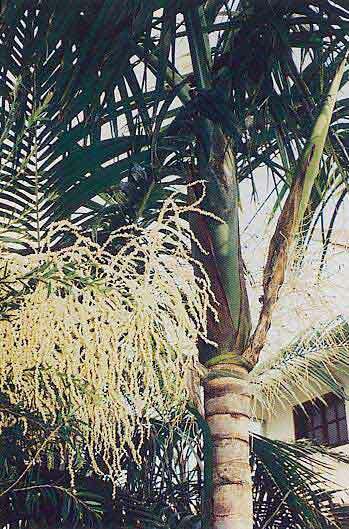 An attractive palm with prominent rings and stiff arching leaves. The inflorescence spathe is very distinctive, angling upward and is very long.